Alexia's favorite food is triple chocolate cake, morning noon and night. Her favorite activities include getting a massage, writing and watching her children sleep. Her favorite color varies, depending on what her daughter Luce decides for her daily. Favorite family moments include, the birth of her two children and the day her kids started going to school. Full time. Luce's favorite foods are mashed potatoes, carbonara pasta (bacon and egg sauce) and marshmallows, preferably pink. Her favorite color is pink (duh!) and on occasion fuchsia. Her favorite activities are going to the children's museum of Rome and annoying Liam (not necessarily in that order or at the same time). Her favorite family moment is having group hugs (without her brother) and giving Amleto a bath. Like Liam, Amleto also enjoys all kinds of foods, some unmentionable in this bio. His favorite things to do include, stealing Liam's bread sticks, chewing Luce's plastic doll and annoying Nick. Unfortunately Amleto doesn't have a favorite color, as he is color blind. His favorite family moments are sled riding, driving in the car with the windows down and the day Mom knocked an entire bowl of spaghetti with meatballs on the floor! Score! Just found your site courtesy of Michelle@Bleeding Espresso - love it! 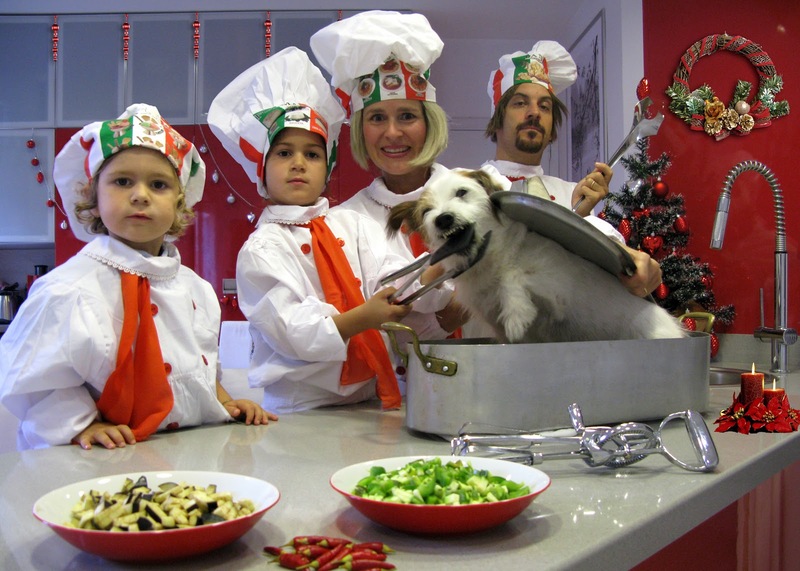 What a crazy family - and how well you must fit into Italy! Ah... you know Italy well. PS. Glad you enjoyed it. it was just a typo darling. Found you through Kwana Writes blog, this is all great fun. Continued good things your way. Well what can I say...sometimes i feel there is something familiar in your sketches!! I really enjoy u all! Elisa, Andrea, 3 kids and a dog! Glad you're enjoying the webisodes. Now I can't complain though, you have THREE kids and a dog! Hats off to you! No, Alexia, sorry, but I haven't heard of soap nuts. Do they even sell them in the US? Yes! I'm sure you can find soapnuts on internet, as well as soap and nuts. Catherine, please make a video and post it on your blog when you do. And let us all know.